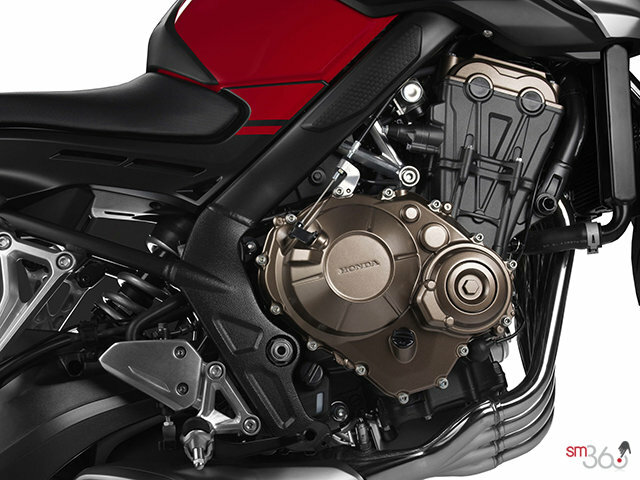 Tuned for increased torque and effortless performance in low and mid rpm, the proven DOHC 16-valve cylinder head with direct cam actuation and 11.4:1 compression ratio increases peak power delivery at 11,000 rpm. 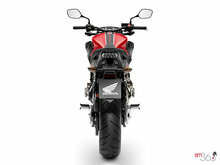 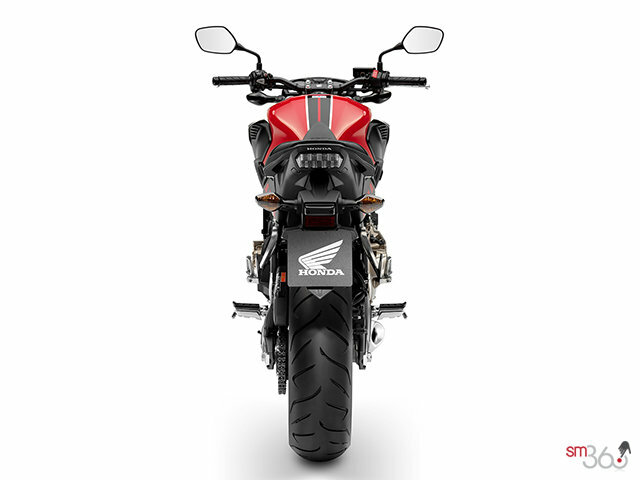 The exposed side-swept downpipes pay homage to the vintage CB400 while offering a modern streetfighter design twist. 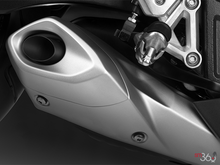 The right side-swept 4-1 exhaust features a dual-pass internal structure to reduce back pressure and deliver an addictive growl, reminding riders of its rich CB heritage. 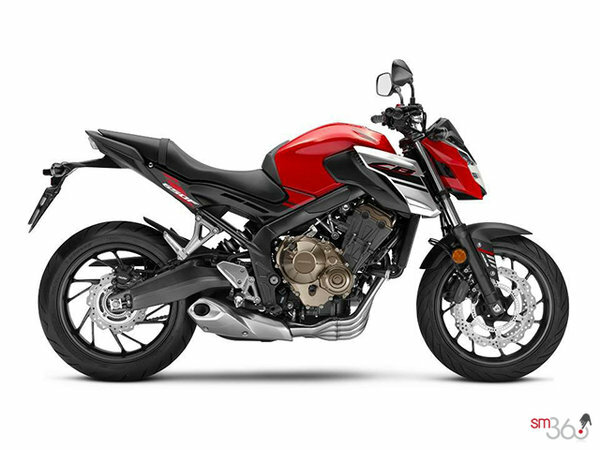 Shorter gearing ratios mean the new CB650F is quick off the line, featuring noticeable power and thrust from 5,000 rpm with its stripped down lightweight design. The PGM-FI fuel injection system operates with information from four separate throttle body sensors on 32 mm throttle bores for crisp and accurate throttle response. The carefully crafted intake/exhaust system and short air intake funnels deliver an enticing sound at start-up, with a sharper response under acceleration as the throttle opens up and engine revs to higher rpms. 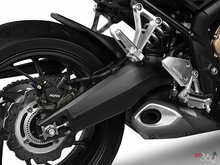 The 41 mm Showa Dual Bending Valve (SDBV) front fork improves ride comfort and handling stability through proportional rebound damping with firm compression damping. 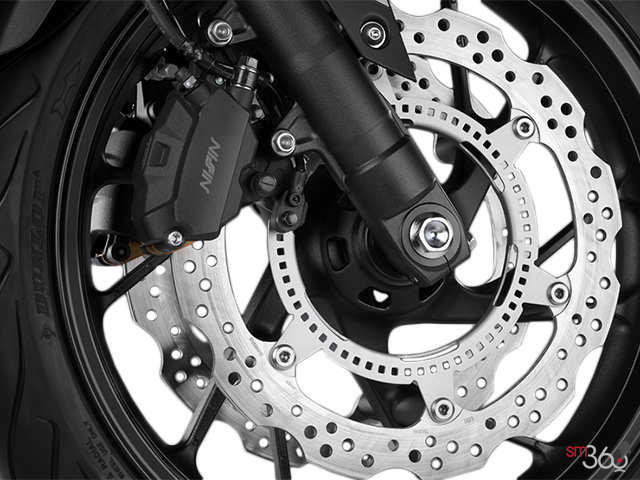 The two-piston Nissin calipers work the front 320 mm wavy disc brake with a single-piston rear 240 mm disc and two-channel ABS fitted as standard equipment. 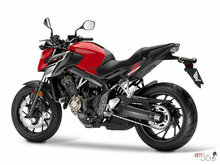 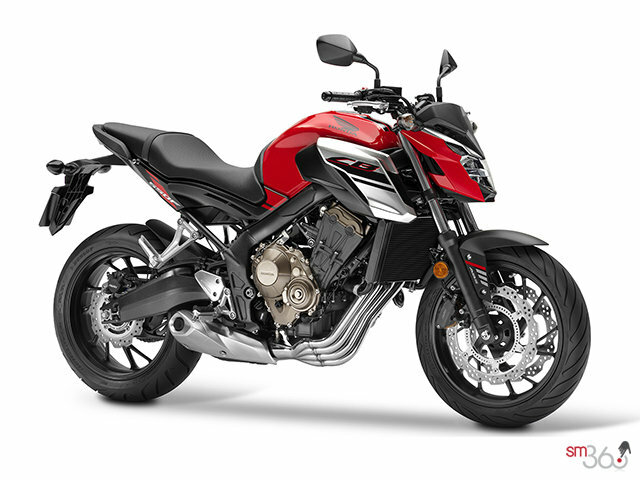 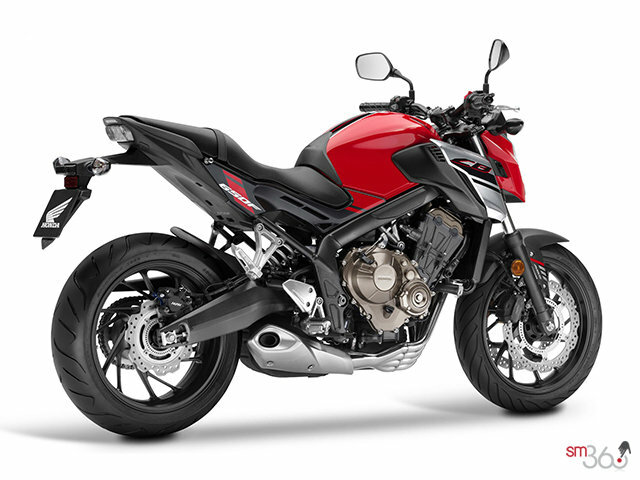 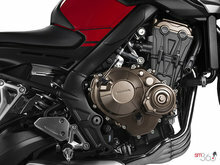 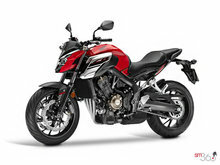 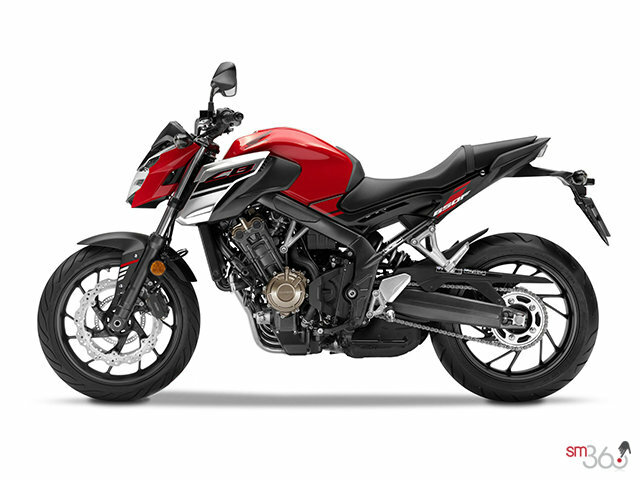 The CB650F represents the naked new shape of things to come, with its bold styling and urban street design. 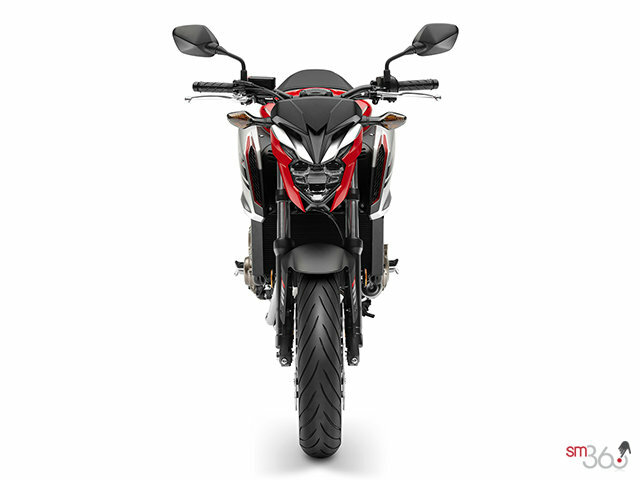 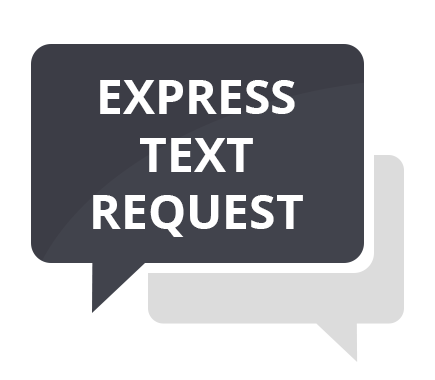 The bronzed engine cover, blacked-out frame and tightly clenched fist appearance come together to deliver an aggressive look, further accented by the crisp LED headlight and clear-lensed LED taillight. 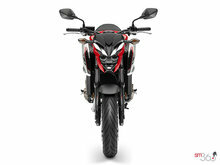 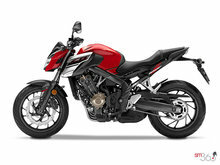 The slightly forward yet sporty riding position places the rider closer to the front wheel and comfortable handlebars. The comfortably shaped seat also helps minimize vibration, while the narrow middle profile and 810 mm seat height allows riders to easily reach the ground with ample seating for a passenger. The digital dash includes twin large screens that display speed and rpm on the left with the fuel gauge, clock, odomoter and warning lights on the right. 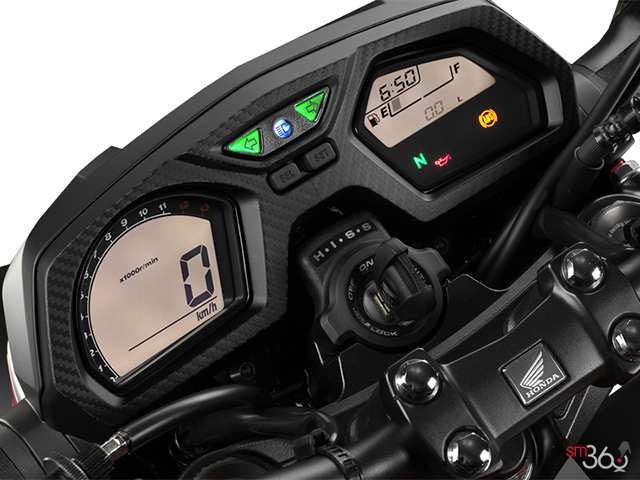 Both screens feature bright white back lighting.